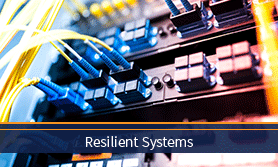 PSCR conducts a comprehensive technical research program to facilitate communications interoperability, broadband capabilities, and information sharing between wireless and IT systems and the public safety community. PSCR works in coordination with public safety, industry, academia, and local, State, tribal, and Federal practitioners to identify critical communications technology gaps. As a result of this coordination, PSCR prioritized the following key technology areas to drive its R&D program. The following initiatives cut across each of the key technology areas.